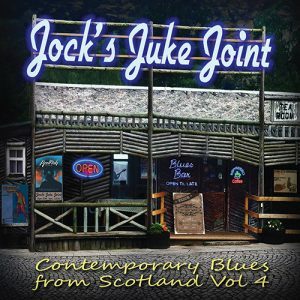 This compilation was put together by the boys at Lewis Hamilton Music and aims to showcase just some of the many blues artists around Scotland. There’s the fine whisky soaked vocals of Stevey Hay and Paul Muir, the grit and smoulder of Laura May Gibson and Helen Turner. 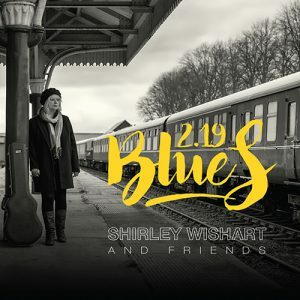 Hear the classic electric guitar playing of Al Brown and Iain Gibney and the blues slide of Lewis Hamilton and Gus Munro. There’s the acoustic country picking of Sleepy Eyes Nelson and Lovat “Houndog” Fraser contrasting with the harder edged blues-rock of Gerry Jablonski and Willie Logan. 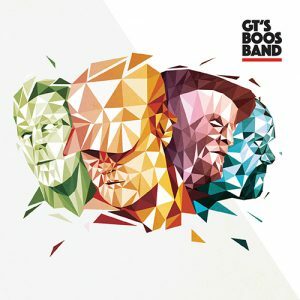 There are wailing harmonicas by Fraser Speirs and Paul Montague, Kirk Lothian’s hammond organ and some honky-tonk piano by Richard Young and Craig Arnott, and Kenny Miller’s jungle beat. The Yahs boogie, while Ruff Cut shuffle. Hear Frank O’Hagan’s respite from academia, Dana Dixon’s tender ballad and Gary Martin’s love song. 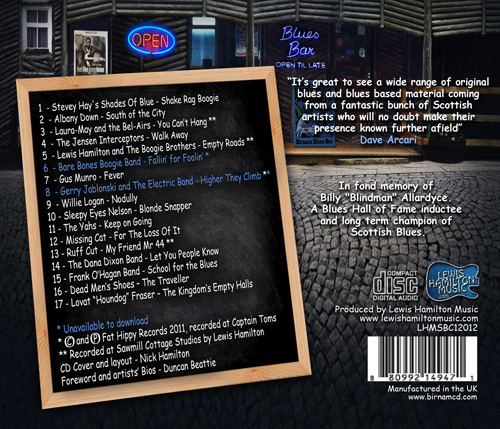 Whatever your taste in blues, there is sure to be something for everyone on this CD. The opener from blues rockers Blues n Trouble sets the mood which is followed by youngsters The Kennel Wages, almost an Indie rock n roll kind of blues, before Wang Dang Delta brings a more mellow laid back tune. Earl Grey and the Loose Leaves, described in the inlay as Captain Beefheart meeting Howlin’ Wolf, is a truly original song; Leah brings us a lovely, slow blues number by the name of ‘Lost In The Night’ and The 4 Al’s instrumental, ‘Jam’al’, is great fun. Other personal highlights for me include, Jed Potts & the Hillman Hunters with the seven minute slow burner, ‘Don’t Tell Me; Richard Youngs’ harp lead, acoustic toe tapper ‘Confidence Man’ and The Lynsey Dolan Band with another sultry laid back tune, ‘Do Right Man’. Every track is a winner and I doubt you will press the skip button during the whole album. I would urge you to go and find out more about the project and maybe treat yourself to both editions." 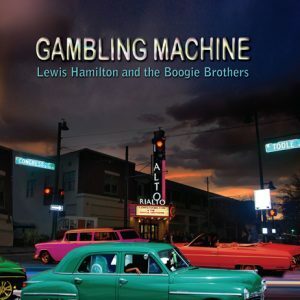 "Produced by Lewis Hamilton , one of the best up and coming bands with a much acclaimed album, “ Gambling Machine “ and also a blistering recording of a new track “ Empty Roads“ on here. The release starts with a stalwart of Scottish blues, Stevey Hay, growling through “Shake Rag Boogie“ a crowd pleaser. Albany Dawn’s “South Of The City“ is an eclectic mix of styles. Other highlights include Gerry Jablonski and The Electric Band’s “Higher They Climb“. Laura- May Gibson gives a soulful smoky approach to “You Can’t Hang“. The Jenson Interceptors, Sleepy Eyes Nelson and perennial favourites Dana Dixon Band provide a country blues flavour. More experimental is Missing Cat with a gutsy “For The Loss Of It“. 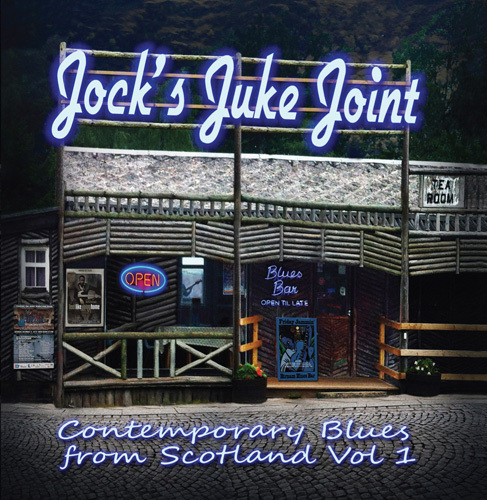 The Frank O’Hagan Band featuring Fraser Speirs on harmonica provide a big band feel, just class … has to be one of the best compilations made this year, taking us on a roller coaster ride of emotions and blues styles, just "